I want to start off this blog post by acknowledging that there has been a lot of uncertainty and anxiety at Hampshire College in the last couple of weeks, due to the recent announcement about some potential future pathways for Hampshire as an institution, including seeking a strategic partner and perhaps not admitting an incoming fall class. While we are heartened that the broader community has applauded the courage and leadership of this announcement, naturally it has produced a not-insignificant amount of stress throughout the internal community as events evolve and we wait to know more. 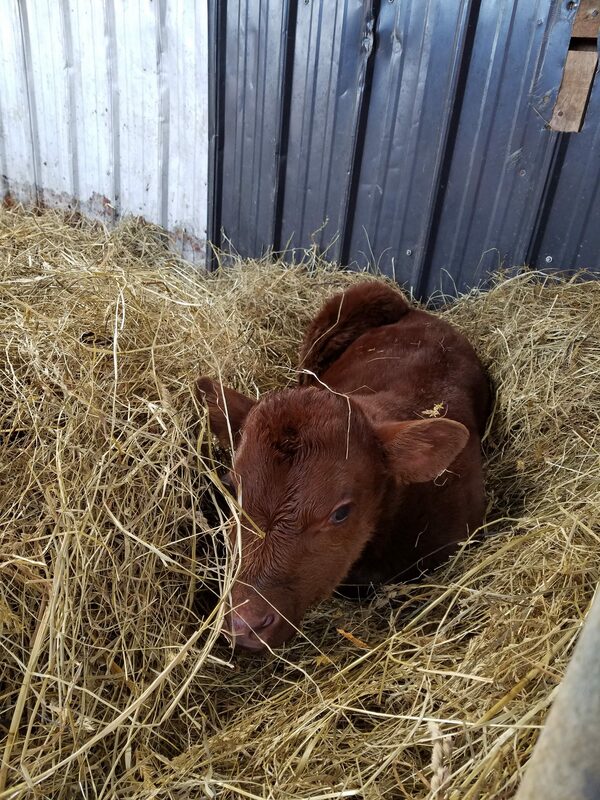 Although no one knows exactly what will happen next, life at the farm continues. 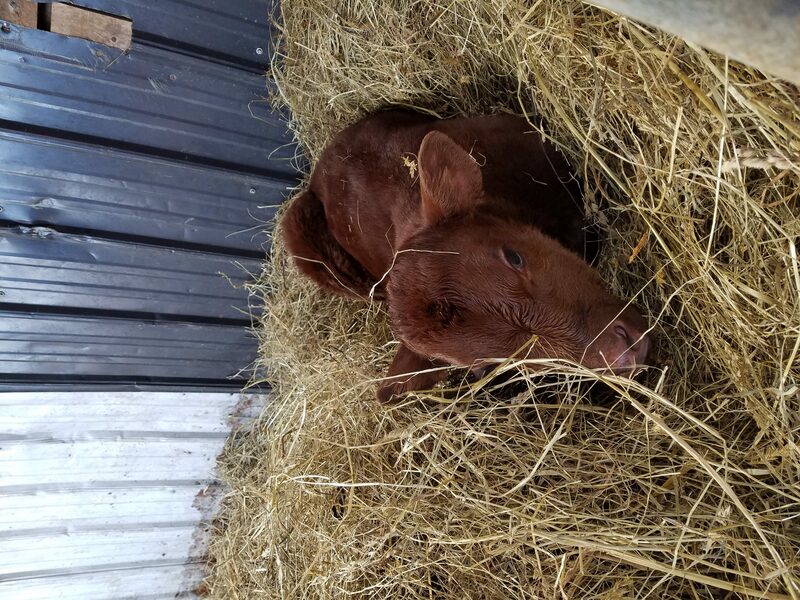 We are pleased to announce the birth of our new shorthorn calf, Geode, as well as the imminent birth of a litter of Gloucestershire Old Spot piglets from our sow Mabel, who is due any day now. 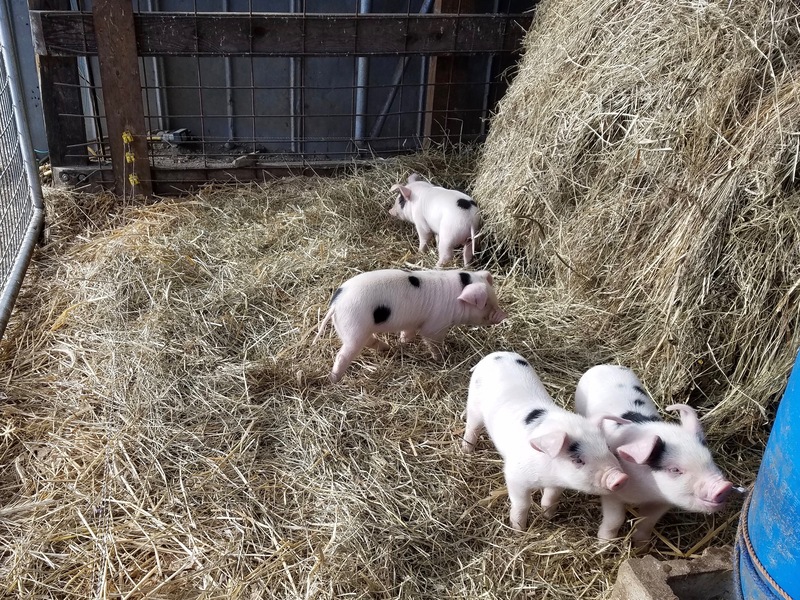 While we await the arrival of Mabel’s piglets, Jane’s current piglets continue to grow bigger and stronger every day. 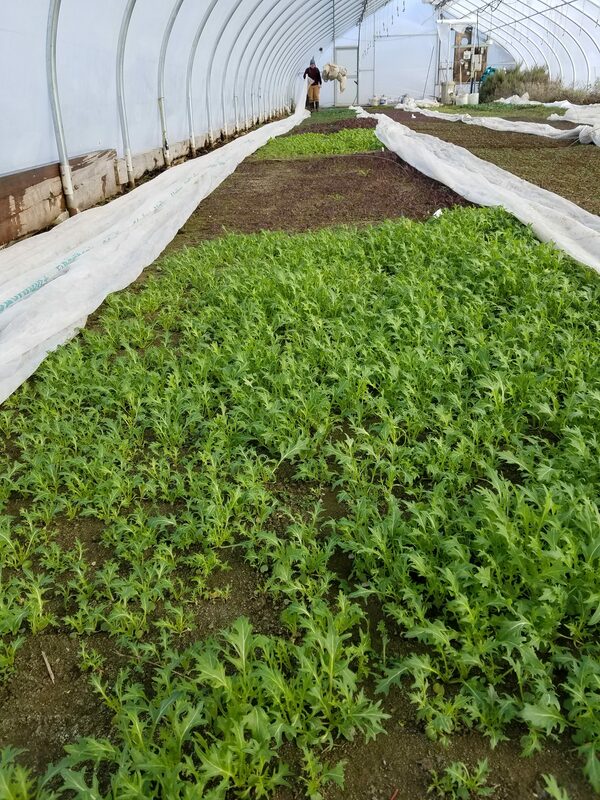 On the vegetable side of things, we are growing winter greens in our greenhouse (available in the campus dining hall, or for sale at the Hampstore) and will soon be preparing for maple sugaring season. In the meantime, as winter continues, we hope that everyone is taking sufficient care of themselves, including eating properly, getting enough sleep and exercise, and fending off winter illnesses. 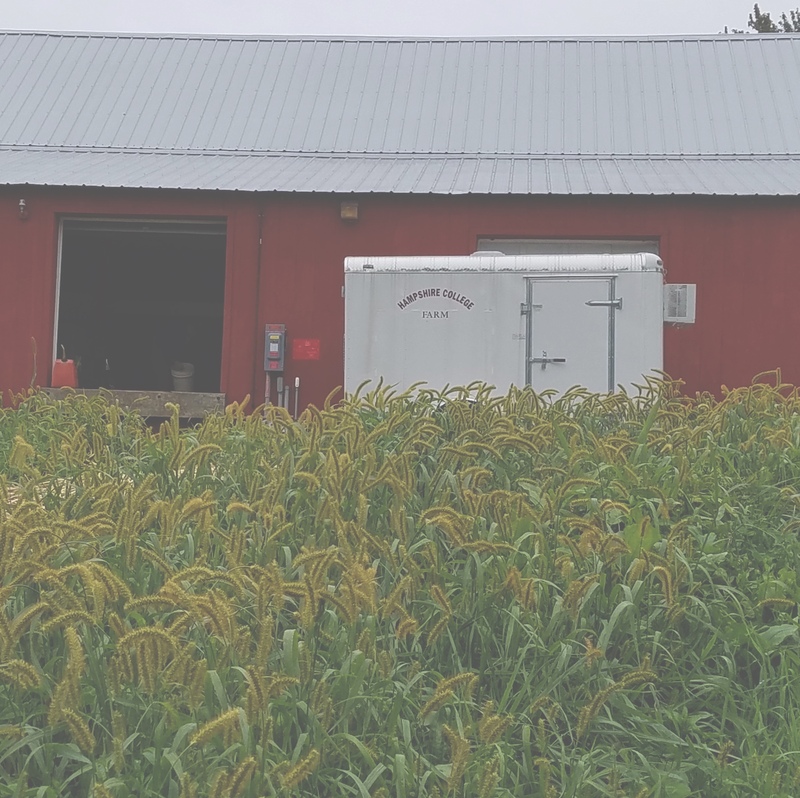 In regards to the last goal, one of the strategies that we at the farm use to avoid or recover from getting sick is ginger-turmeric tea; both ginger and turmeric are anti-microbial and anti-inflammatory. 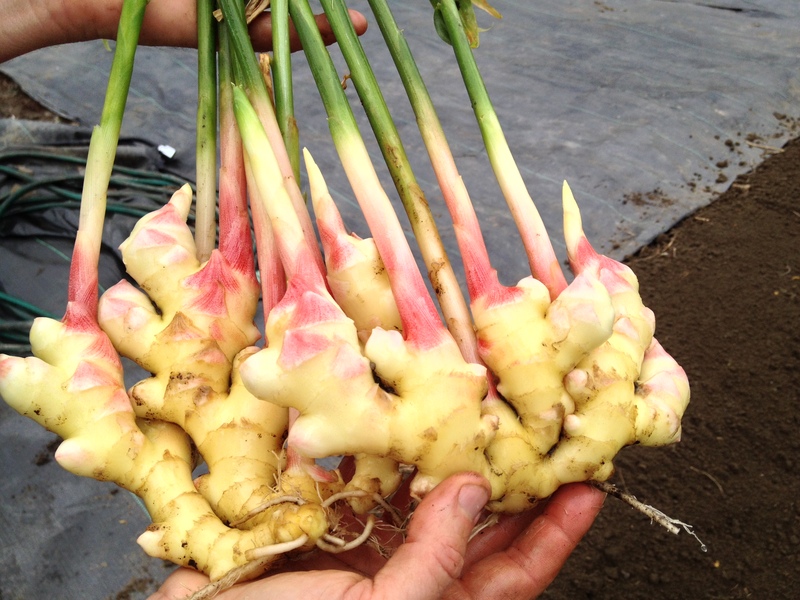 Simply slice or grate ginger and turmeric roots into a pot of water, bring to a boil, and simmer for several minutes. (If you don’t have roots, you can also use dried powder, though it is less potent.) The longer you simmer, the stronger the tea will get. Just be cautious with the turmeric, as it does stain, so use non-porous surfaces and try to avoid spills. During this challenging winter, take care of yourselves, eat well, and stay strong!